THOMAS W. STAFFORD JR., Ph.D.
Stafford, Thomas W., Jr. (1981) Alluvial geology and archaeological potential of the Texas Southern High Plains. American Antiquity 46: 548-565. Stafford, T.W., Jr., Duhamel, R.C., Haynes, C.V., and Brendel, K. (1982) Isolation of proline and hydroxyproline from fossil bone. Life Sciences 31: 931-938. Stafford, T.W., Jr., Jull, A.J.T., Zabel, T., Donahue, D., Duhamel, R., Brendel, K., Haynes, C.V., Bischoff, J., Payen, L., and Taylor, R. (1984) Holocene age of the Yuha burial: direct radiocarbon determinations by accelerator mass spectrometry. Nature 308: 446-447. Stafford, T.W., Jr., Jull, A.J.T., Brendel, K., Duhamel, R. and Donahue, D. (1987) Study of bone radiocarbon dating accuracy at the University of Arizona NSF accelerator facility for radioisotope analysis. Radiocarbon 86: 24-44. James, H., Stafford, T.W., Jr., Steadman, D., Olson, S., Martin, P.S. and McCoy, P.C. (1987) Radiocarbon dating of bones of extinct birds from Hawaii. Proceedings of the National Academy of Sciences 84: 2350-2354. Stafford, T.W., Jr. (1988) Accelerator radiocarbon dating of late Pleistocene megafauna. Current Research in the Pleistocene 5: 41-43. Stafford, T.W., Jr., Brendel, K. and Duhamel, R. (1988) Radiocarbon, 13C, and 15N analysis of fossil bone: removal of humates with XAD-2 resin. Geochimica Cosmochimica Acta 52:2257-2267. Stafford, T.W., Jr. and Tyson, R.A. (1988) Accelerator dates on charcoal, shell, and human bone from the Del Mar early Man site, California. American Antiquity 54: 389-395. Farmdalian (25,500 yr. B.P.) vertebrate fossils co-occur with Early Holocene artifacts. In: J. A. Willig, C. M. Aikens and J. L. Fagan (Eds). 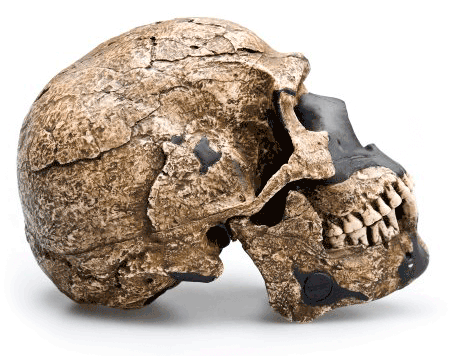 Early human occupation in far Western North America: the Clovis-Archaic interface. Nevada State Museum Anthropological Papers Number 21, pp. 153-200. Stafford, T.W., Jr., Hare, P.E., Currie, L.A., Jull, A.J.T. and Donahue, D. (1990) Accelerator 14C dating of fossil-bone amino acids: accuracy of North American Human skeletal ages. Quaternary Research 34: 111-120. Stafford, T. W., Jr. (1990) Late Pleistocene Megafauna Extinctions and the Clovis culture: absolute ages based on accelerator 14C dating of skeletal remains. In (L. Agenbroad, J. I. Mead, and L. Nelson Eds.) Megafauna and Man: Discovery of America's Heartland. The Mammoth Site of Hot Springs, South Dakota, Inc. Scientific Papers, Volume 1. pp. 118-122. Hot Springs. 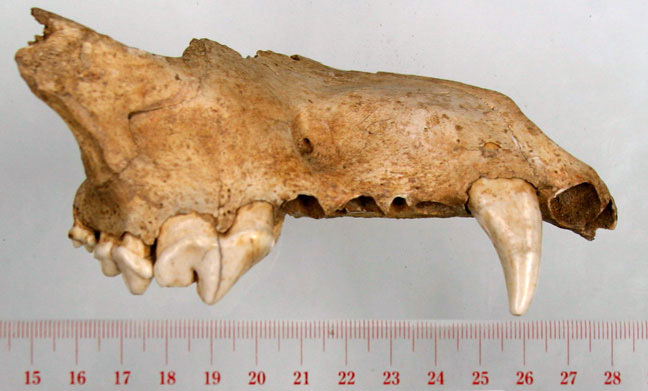 Stafford, T. W., Jr. and Semken H. (1990) Accelerator 14C dating of two micromammal species representative of the Late Pleistocene disharmonious fauna from Peccary Cave, Newton, County, Arkansas. 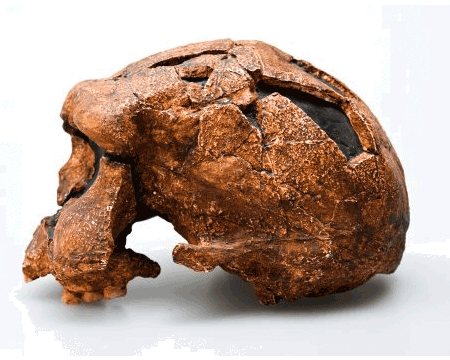 Current Research in the Pleistocene 7: 129-132. Stafford, T.W., Jr., Hare, P.E., Currie, L.A., Jull, A.J.T. and Donahue, D. (1991) Accelerator radiocarbon dating at the molecular level. Journal of Archaeological Sciences 18: 35-72. Hare, P. E., Fogel, M. F., Stafford, T. W., Jr., Mitchell, A. D., and Hoering, T. C. (1991) The isotopic composition of carbon and nitrogen in individual amino acids isolated from modern and fossil protein. Journal of Archaeological Science 18: 277-292. Steadman, D. W., Stafford, T. W., Jr., Donahue, D. J., and Jull, A. J. T. (1991) Chronology of Holocene vertebrate extinction in the Galapagos Islands. Quaternary Research 35: 126-133. Stafford, T. W. Jr. (1992) Radiocarbon Dating Dinosaur Bone: More Pseudoscience from Creationists. Creation/Evolution 12: 13-16. Ikaite precipitation by mixing of shoreline springs and lake water, Mono Lake, California, USA. Geochimica et Cosmochimica Acta 57: 3855-3865. Stafford, T. W., Jr. (1994) Accelerator C-14 dating of human fossil skeletons: assessing accuracy and results on New Worlds Specimens. Method and Theory for Investigating the Peopling of the Americas. (R. Bonnichsen and G. Steele, Eds). Oregon State University, pp. 45-55. Bradley, Lee-Ann and Stafford, T.W., Jr. (1994) Comparison of manual and automated pretreatment methods for AMS radiocarbon dating of plant fossils. Radiocarbon 36: 399-405. Nelson, A.R., Atwater, B.F., Bobrowsky, P.T., Bradley, L., Clague, J.J., Carver, G.A., Darienzo, M.E., Grant, G.A., Krueger, H.W., Sparks, R., Stafford, T.W., Jr., and Stuiver, M. (1995) Radiocarbon evidence for extensive plate-boundary rupture about 300 years ago at the Cascadia subduction zone. Nature 378: 371-374. Forman, S.L., Oglesby, R., Markgraf, V., and Stafford, Thomas (1995) Paleoclimatic significance of Late Quaternary eolian deposition on the Piedmont and High Plains, Central United States. Global and Planetary Change 11: 35-55. Burney, D.A., DeCandido, R.V., Burney, L.P., Kostel-Hughes, F.N., Stafford, T.W., Jr., and James, H.F. (1995) A Holocene record of climate change, fire ecology and human activity from montane Flat Top Bog, Maui. Journal of Paleolimnology 13: 209-217. Muhs, D.R.., Stafford, Thomas W. Jr., Cowherd, S.D., Mahan, S.A., Kihl, R, Maat, P.B., Bush, C.A., and Nehring, J. 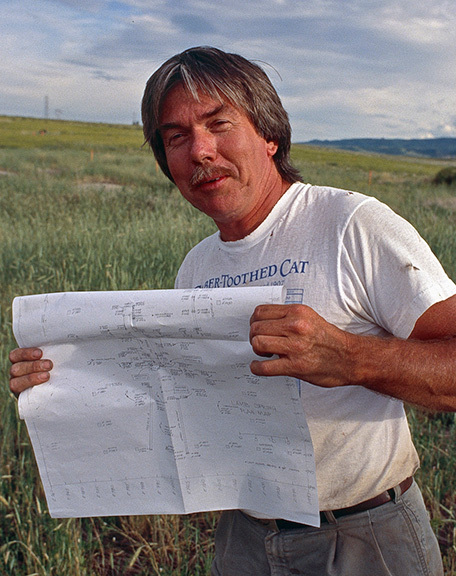 (1996) Origin of the late Quaternary dune fields of northeastern Colorado. Geomorphology 17: 129-149. Dallman, John E., D. Overstreet, and T.W. Stafford, Jr. (1996) A revised chronology for cultural and non-cultural mammoth and mastodon fossil in the southwestern Lake Michigan basin. 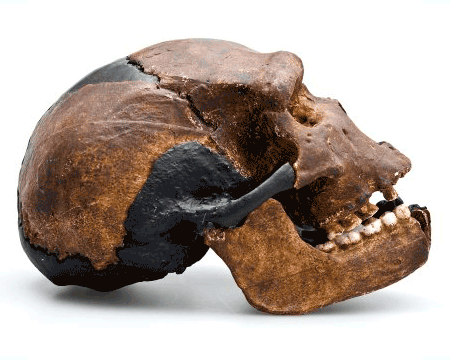 Current Research in the Pleistocene 13: 10-12. Abbott, M. and Stafford, T.W., Jr. (1996) Radiocarbon geochemistry of modern and ancient arctic lake systems, Baffin Island, Canada. Quaternary Research 45: 300-311. Bischoff, J.L., T.W. Stafford, Jr., and M. Rubin (1997) A time-depth scale for Owens Lake sediments of core OL-92: Radiocarbon dates and constant mass-accumulation rate. In: G.I. Smith and J. L. Bischoff (Eds) "An 800,000-Year Paleoclimatic record from Core PL-92, Owens Lake, Southeast California. GSA Special Paper 317, pp. 91-98. Steadman, D.W., Stafford, T.W., Jr., and Funk, R.E. (1997) Direct radiocarbon dating of late Pleistocene mammals from the Dutchess Quarry Caves, New York: lack of evidence for association with paleoindians. Quaternary Research 47: 105-116. Muhs, D.R, T. W. Stafford, Jr., J.B. Swinehart, S.D. Cowherd, S.A. Mahan, and C.A. Bush, R. Madole, and P. Maat (1997) Late Holocene eolian activity in the mineralogically mature Nebraska Sand Hills. Quaternary Research 48: 162-176. Muhs, D. R., Stafford, Thomas W., Jr., Been, J., Mahan, S. A., Burdett, J. A., Skipp, G., and Rowland, Z. M. (1997) Holocene eolian activity in the Minot dune field, north Dakota. Canadian Journal of Earth Sciences 34: 1442-1459. Rosenswig, Robert M. and Thomas W. Stafford, Jr. (1998) Archaic Component Beneath a Postclassic Terrace at Suboperation 19, Laguna de On Island. In Belize Postclassic Project 1997: Laguna de On, Progresso Lagoon, Laguna Seca, edited by M. Masson and R. Rosenswig, pp. 81-89. Institute of Mesoamerican Studies Occasional Publication No. 2. University of Albany – SUNY, Albany. Stafford, Thomas W., Jr. (1998) Radiocarbon Chronostratigraphy. In Wilson-Leonard An 11,000-year Archeological Record of Hunter-Gatherers in Central Texas, assembled and edited by Michael B. Collins. Vol. 4, Chapter 25, pp. 1039-1066. Studies in Archeology 31, Texas Archeological Research Laboratory, The University of Texas at Austin & Archeology Studies Program, Report 10, Texas Department of Transportation, Austin. Schild, Romuald, Tobolski, Kazimierz, Kubiak-Martens, Lucyna, Pazdur, Mieczyslaw, Pazdur, Anna, Vogel, J.C., and Stafford, Jr., Thomas W. (1999) Stratigraphy, paleoecology and radiochronology of the site of Calowanie. Folia Quaternaria 70: 239-268. Holiday, Vance T., Eileen Johnson and Thomas W. Stafford, Jr. (1999) AMS radiocarbon dating of the type Plainview and Firstview (Paleoindian) assemblages: the agony and the ecstasy. American Antiquity 64: 444-454. Johnson, J. R., T. W. Stafford, Jr., H. O. Ajie, and D. P. Morris. (2000) Arlington Springs Revisited. In: Proceedings of the Fifth California Islands Symposium, D. R. Brown, K. C. Mitchell and H. W. Chaney, eds., pp. 541-545. U.S. Department of the Interior Minerals Management Service, Pacific OCS Region. OCS Study MMS 99-0038. Montet-White, A, J. Evin, & T. Stafford (2002) Les datations radiocarbone de amas osseux. In: Solutre 1968-1998, Societe Prehistorique Francaise, Memoire 30, pp. 181-189. Bousman, C.B., M.B. Collins, P. Goldberg, T. Stafford, J. Guy, B. Baker, D.G. Steele, M. Kay, A. Kerr, G. Fredlund, P. Dering, V. Holliday, D. Wilson, W. Gose, S. Dial, P. Takac, R. Balinsky, M. Masson, and J.P. Powell (2002) The Palaeoindian-Archaic transition in North America: new evidence from Texas. Antiquity 76: 980-990. 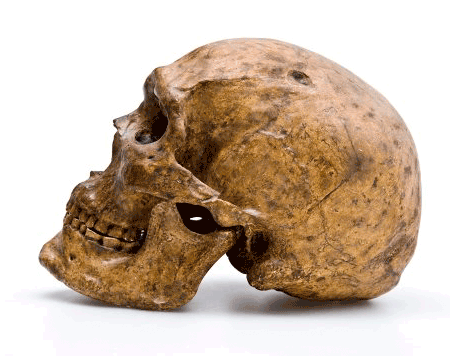 Mena, Francisco L., Omar Reyes, Thomas W. Stafford, Jr., and John Southon (2003) Early human remains form Bano Nuevo-1 cave, central Patagonian Andes, Chile. Quaternary International 109-110: 113-121. Cooke, M. Jennifer, Libby A. Stern, Jay L. Banner, Lawrence Mack, Thomas W. Stafford, Jr., and Rickard S. Toomey III (2003) Precise timing and rate of massive late Quaternary soil denudation. Geology 31: 853-856. Núñez, Herman Thomas W. Stafford, Jr. and Daniel Frassinetti (2006). Primer registro fosil de Liolaemus en Chile (Reptilia, Sauria). Noticiario Mensual del Museo Nacional de Historia Natural, No. 356, pp. 3-7. 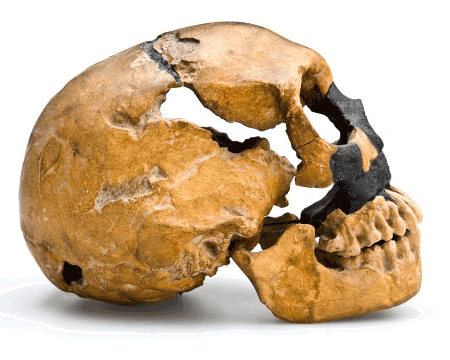 Homo Remains. Journal of Human Evolution 52: 217-221. Ostrom, Peggy H., Hasand Gandhi, John R. Strahler, Angela K. Walker, Philip C. Andrews, Joseph Leyman, Thomas W. Stafford, Jr., Robert Kelly, Danny N. Walker, Mike Buckley, James Humpula (2006). Unraveling the sequence and structure of the protein osteocalcin from a 42 ka fossil horse. Geochimica et Cosmochimica Acta 70: 2034-2044. Mena, Francisco. & Thomas W Stafford, Jr.. (2006) Contexto estratigráfico y fechación directa de esqueletos humanos del Holoceno temprano en Cueva Baño Nuevo (Patagonia Central, Chile), in: J. Jiménez, S. González, J. Pompa & F. Ort´ız (ed.) 2◦ Simposio Internacional del Hombre Temprano en América: 139-54. Ciudad de México: INAH. Implications for the Peopling of the Americas. Science 315: 1122-1126. Humpula, James F., Ostrom, Peggy H., Gandhi, Hasand, Strahler, John R., Walker, Angela K., Stafford, Thomas W., Smith, James J., Voorhies, Michael R., George Corner, R., Andrews, Phillip C. (2008). Investigation of the protein osteocalcin of Camelops hesternus: Sequence, structure and phylogenetic implications. Geochimica Cosmochimica Acta 71: 5956-5967. Waters, M. R., J. Wiersema and T. W. Stafford, Jr. (2008) A geoarchaeological evaluation of an early human burial from Brazoria County, Texas. Journal of Archaeological Science 35:2425-2433. Rick, T.C., J. M. Erlandson, R.L. Vellanoweth, T.J. Braje, P.W. Collins, D. A. Guthrie, and T.W. Stafford, Jr. (2009) Origins and antiquity of the island fox (Urocyon littoralis) on California's Channel Islands. Quaternary Research 71:93-98. Tankersley, K. B., Michael R. Waters, and Thomas W. Stafford, Jr. (2009). Clovis and the American Mastodon at Big Bone Lick, Kentucky. American Antiquity 74:1-10. Michael R. Waters, Thomas W. Stafford, Jr., Brian G. Redmond, K.B. Tankersley (2009) The Age of the Paleoindian Assemblage at Sheriden Cave, Ohio. Kennett, D.J., J.P. Kennett, G.J. West, J.M. Erlandson, J.R. Johnson, L.L. Hendy, A. West, B.J. Culleton, T.L. Jones, and Thomas W. Stafford, Jr. (2008). Wildfire and abrupt ecosystem disruption on California's Northern Channel Islands at the Allerod Younger Dryas boundary (13.0-12.9 ka). Quaternary Science Reviews 27:2528-2543. Saulnier-Talbot, E´milie, Reinhard Pienitz and Thomas W. Stafford, Jr. (2009). Establishing Holocene sediment core chronologies for northern Ungava lakes, Canada, using humic acids (AMS 14C) and 210Pb. Quaternary Geochronology 4:278-287. Kurbatov, Andrei, Paul A. Mayewski, Jorgen P. Steffensen, Allen West, Douglas Kennett, James P. Kennett, Ted E. Bunch, Mike Handley, Douglas Introne, Shane S. Que Hee, Christopher Mercer, Marilee Sellers, Feng Shen, Sharon B. Sneed, James Weaver, James Witttke, Thomas W, Stafford, Jr., John Donovan, Sujing Xie, Joshua J. Razink, Adrienne Stich, Charles R. Kinze and Wendy S. Wolbach (2010) Discovery of a nanodiamond-rich layer in the Greenland ice sheet. Journal of Glaciology 56:749-759. Hay, 1913. Journal of Vertebrate Paleontology 30(6): 1-8. Semken, Jr., Holmes A., Russell W. Graham and Thomas W. Stafford, Jr. (2010) AMS 14C analysis of Late Pleistocene non-analog faunal components from 21 cave deposits in southeastern North America. Quaternary International 217: 240-255. Waters, Michael R., Thomas W. Stafford, Jr., H. Gregory McDonald, Carl Gustafson, Morten Rasmussen, Enrico Cappellini, Jesper V. Olsen, Damian Szklarcyk, Lars Juhl Jensen, M. Thomas P. Gilbert, and Eske Willerslev (2011) Pre-Clovis Mastodon Hunting 13,800 Years Ago at the Manis Site, Washington. Science 334:351-353. Lorenzen, Eline D. et al., Species-specific responses of Late Quaternary megafauna to climate and humans (2011) Nature 479:359-364. Cappellini, Enrico, Lars J. Jensen, Damian Szldarczyk, Aurelien Ginolhac, Rute A.R. da Fonseca, Thomas W. Stafford, Jr., Steven R. Holen, Matthew J. Collins, Ludovic Orlanda, Eske Willerslev, M. Thomas P. Gilbert and Jesper V. Olsen (2012) Proteomic Analysis of a Pleistocene Mammoth Femur Reveals More than One Hundred Ancient Bone Proteins. Journal of Proteome Research. Vol 11, pp. 917-926. MacFadden, Bruce J., Barbara A. Purdy, Krista Church, and Thomas W. Stafford, Jr, (2012) Humans were contemporaneous with late Pleistocene mammals in Florida: evidence from rare earth elemental analysis. Journal of Vertebrate Paleontology: 32, 708-716.